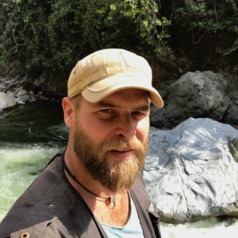 Daniel Wiemer is a crustal researcher, who applies petrology, geochemistry, geochronology, and field-based structural geology. He received his M.Sc. at the University of Kiel (Germany), studying the crustal evolution of the Archaean Western Dharwar Craton, South India. For his contribution on the tectonic evolution of the early Archaean Doolena Gap greenstone belt, East Pilbara Terrane, WA, Daniel was awarded a Ph.D. at the Queensland University of Technology. In mid-2017, he joined the Centre for Exploration Targeting, University of Western Australia.